A traditional surrogacy is one where the surrogate’s egg is used, and combined with the intended father’s sperm. Traditional surrogacy, which is also referred to as genetic surrogacy, is governed under Florida Statute 63.213. The agreement that will be drafted between the parties will be called a Preplanned Adoption Agreement, since the volunteer mother is genetically related to the child due to her egg being used. Traditional surrogacy is not a common option for intended parents in Florida. 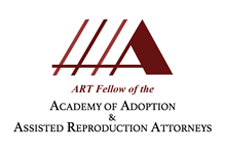 Due to the volunteer mother’s genetic connection, she has the right to rescind the Preplanned Adoption Agreement and her consent to adoption, and retain her parental rights to the child at any time within 48 hours after the birth. Traditional surrogacy is sometimes chosen because it can be slightly more affordable, due to the medical procedure involved and the lack of a need for an egg donation. However, the risk oftentimes leads intended parents to choose a gestational surrogacy, wherein there is no genetic connection between the surrogate and the child. Although a volunteer mother rescinding her consent to adoption is rare, it is still important to include various provisions in the Preplanned Adoption Agreement to prepare for the breach. Karen Persis has represented parties involved in traditional surrogacy, and understands the nuances of such an agreement.